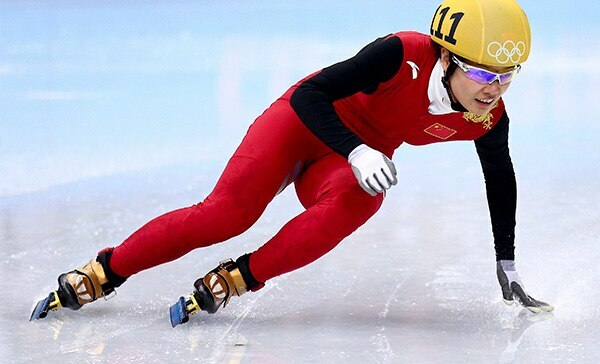 Li Jianrou secured the gold in the women's 500m short track final at the Iceberg Skating Palace to maintain a proud tradition for China over the distance. With two-time defending champion Wang Meng not competing at Sochi 2014, the pre-Games favourite’s mantle rested with her compatriot Fan Kexin. However, it was the 27-year-old Li who kept the title in Chinese hands for a fourth consecutive Games, clocking 45.263 seconds. That placed her nearly six seconds ahead of Italy's Arianna Fontana, who improved on her bronze from Vancouver 2010, to take silver in 51.250. Despite an initial false start Park Seung-Hi of South Korea took bronze in 54.207. It was the third Olympic bronze for the 21-year old, who finished third in the 1,000m and 1,500m in Vancouver. Three of the other finalists were involved in a crash on the first lap of 4.5-lap final. The referees ruled that the pile-up had been caused by Great Britain's Elise Christie, who was disqualified. Neither Canada's Marianne St. Gelais, the Vancouver silver medallist, nor pre-race favourite Fan Kexin, a two-time world champion over 500m, managed to qualify for the A final. The B final was won by China's Liu Qiuhong, ensuring her fourth place overall.